There is no additional charge for children already attending Saturday coaching but everyone else will need to pay the small fee of £5 to take part. There will be the normal £5 charge for the adults who would normally play in the Saturday coaching pay and play session. 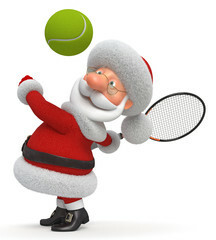 Please notethe 9am to 10am children’s coaching squads will take place as normal. If there are any adult volunteers to help that would be great.